Was there a time when Young Adult lit was truly only for young adults? I am beginning to think maybe there was but it only lasted five minutes. I’ve been wowed over the last few years by more YA titles than my chronological age should allow. 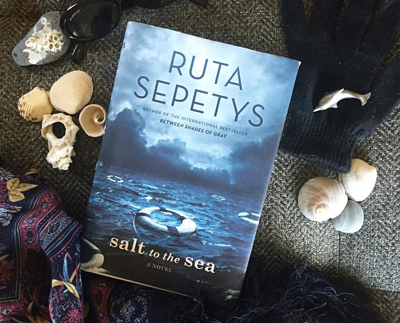 Ruta Sepetys’ page-turner, SALT TO THE SEA, is apparently shelved in YA, though you need to know I read my mother’s copy (who is obviously at least two decades older than me!) and she loved this book just as much as I did. It’s a hauntingly evocative, tender, moving, and remarkable story of four young people trying to survive the horrors of WW2. 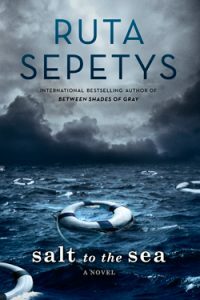 Told in four rotating viewpoints, Sepetys was nevertheless able to create the literary magic that makes the reader very okay with switching from one character’s head to another. You know those books with multiple points of view, where you really only care about two of the four and you race to get past the pages of the characters whose stories aren’t as compelling? This isn’t one of those books. The story is all the more riveting because it’s based on a true-to-life disaster that, unless you’ve read the book, you’ve probably never heard of. “Winter, 1945. Four teenagers. Four secrets. Each one born of a different homeland; each one hunted, and haunted, by tragedy, lies…and war. 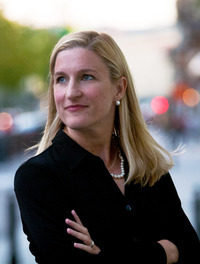 Ruta Sepetys‘ Goodreads author page tells us that she was born into a family of artists, readers, and music lovers, and that she is drawn to stories of strength through struggle. Her award-winning debut novel, “Between Shades of Gray” was inspired by her family’s history in Lithuania and is published in 45 countries. Her second novel, “Out of the Easy” is set in the French Quarter of New Orleans in 1950, and “Salt to the Sea, which is her third novel, exposes one of the greatest hidden disasters of World War II. It also says she lives in a tree house in the hills of Tennessee! I may not be a young adult, but I am also drawn to stories of “strength through struggle.” Isn’t that aptly descriptive of life itself at any age? Some days are easy and a wonderful, some are hard and harrowing — but all of our days make up our lives and thus make us who we are, at the age we are right now. 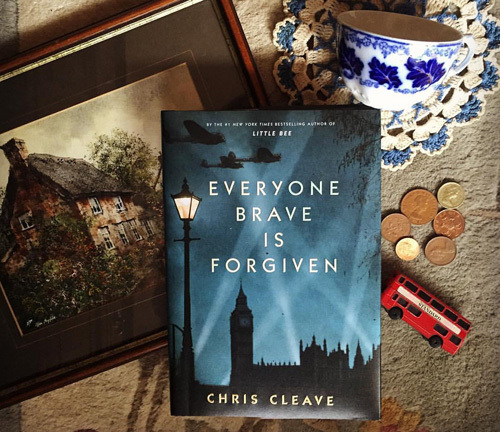 When I began writing SECRETS OF CHARMED LIFE a couple years ago, I had only the vaguest of notions of how much London suffered during World War II. 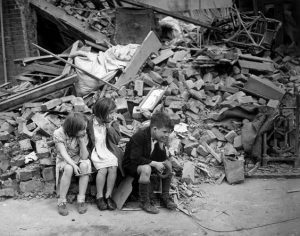 Here was a city teeming with civilians – mothers, pensioners, children too young to be evacuated or just plain not evacuated – and yet it was bombed as if it were a military fortress filled with soldiers. 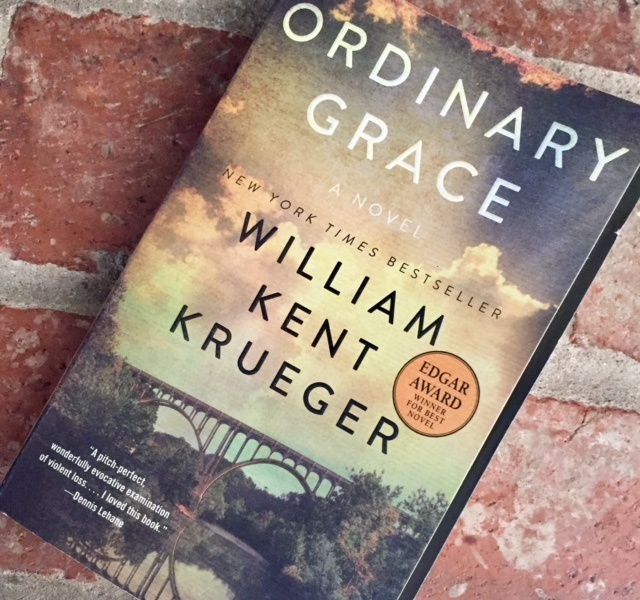 When ordinary people are thrust into such extraordinarily difficult circumstances, their best virtues and worst flaws will emerge, twinned and twisted, and sometimes hard to distinguish between. War reveals to us what we love and fear most. I keep telling myself, “Okay. No more WW2 novels! Broaden your horizon! Read about something else!” And yet I keep getting pulled back to books with this setting. Chris’s new book, which earned a starred review in Publishers Weekly, is a gem, and written with such achingly beautiful prose, sometimes you can forget this is a book about what war does to people. Several times I re-read a sentence just for the pleasure of tasting it again. All that said, it IS still a book about wartime decisions and the characters who must make them. The plot centers on three Londoners, Mary, Thomas and Alistair, and how the war orchestrates the choices they make. It is loosely based on love letters between Chris’s grandparents. You can read more about the premise here. I’ve been hungry for that kind of novel that calls out to you from the nightstand all throughout the day, teasing you to drop off working a little early so that you can open it up and continue where you left off the night before. My work office is my home so my current read is never more than a flight of stairs and a hallway away. 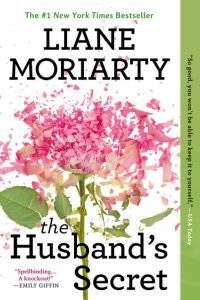 After a couple of less-than-compelling books, I was very glad to get caught up in Liane Moriarty’s THE HUSBAND’S SECRET this past week. I didn’t know much about the novel beforehand, just that it had rave reviews, lots of book clubs were reading it, and my agent said it was fabulous. I purposely didn’t read the back cover copy — which I find sometimes gives too much away. I was immediately drawn in to these three women and their seemingly separate stories. I knew somehow Tess and Rachel and Cecelia would collide on the pages and it was deliciously compelling to wonder how. I won’t say more about the plot because if you decide to read it, it’s best – I think – to just go in ready to be told a story about flawed people trying to hang onto normal when everything around them is tilting. Entertainment Weekly says THE HUSBAND’S SECRET is “emotionally astute, immensely smart, and cinematically plotted.” I agree. I can see this one being adapted for the big screen. My book club is reading it next, and I know it will lead to a great discussion. Characters making choices when there is a moral dilemma involved always makes for a lively book club chat. I’m happy to already have Liane’s BIG LITTLE LIES ready to read. My mom – a voracious reader – says it’s terrific. But first, my second book club (so, yeah, I’m in two) is reading Lisa Wingate’s THE SEAKEEPER’S DAUGHTERS and I’ll be starting that tonight. 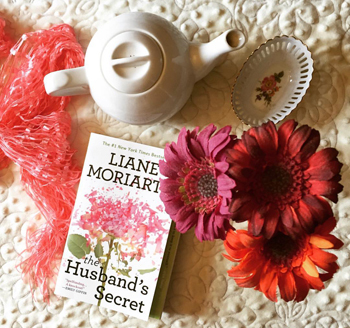 Have you read Liane Moriarty? What did you think? Know someone who speaks Norwegian? Good morning, dear reading community! I’ll get right to the point. 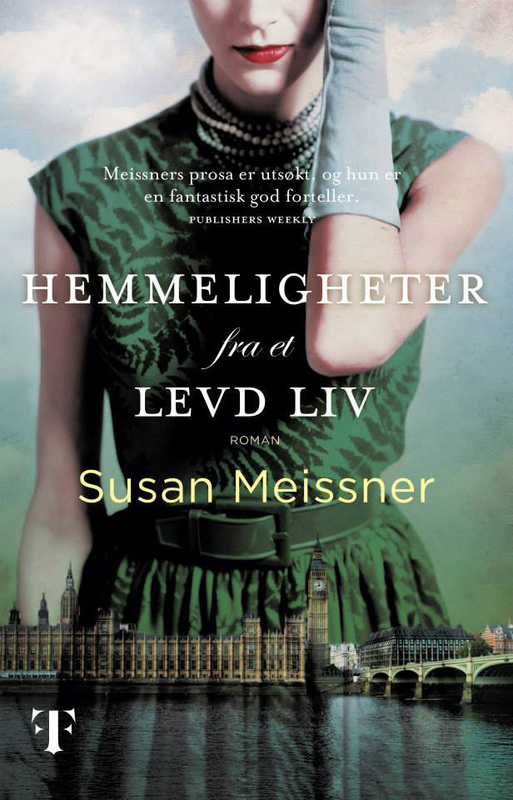 I’ve four copies of SECRETS OF A CHARMED LIFE translated into Norwegian that I would love to give away to four readers who speak that language. Do you have a friend or family member who would love to read this book in their mother tongue? Or maybe you’re learning Norwegian and need to read novels to familiarize yourself with the finer details. Respond below with a comment that you want your name in the hat and I will have random.org draw four winners on Sunday, February 21. I can sign and send the book to anyone in the US or Canada. 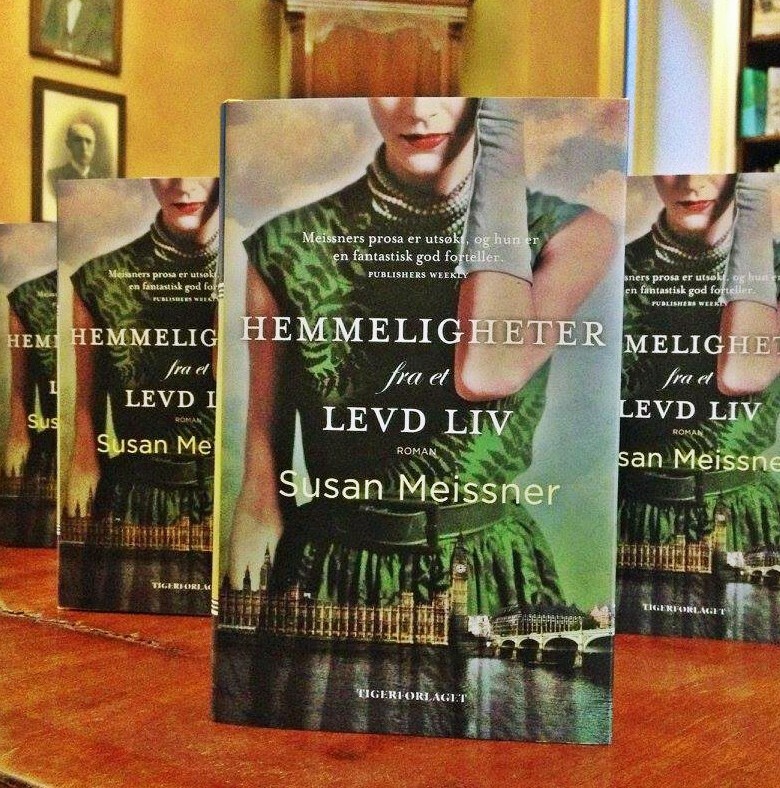 If your Norwegian-speaking loved one lives in Norway or elsewhere abroad, it will be up to you to get the book to him or her, but I am happy to send to Aunt Asbjørg if she lives in the US/CAN. These are beautifully crafted, hardcover books and they would love to be read! Good luck and have a great weekend! Awhile back, when the book Unbroken first came out, I told my husband that I wanted to read it because I loved Seabiscuit and I knew what an amazing writer Laura Hillenbrand was. I didn’t know much about Louie Zamperini (sad to say) so I had not heard prior to this the depths of his suffering at the hands of cruel men. Bob read the book first, and then said something along the lines of, “So, Sue. This is no Seabiscuit.” The graphic details of Louie’s torture were all there on the pages of the book and he wanted me to know that. It is one thing to read a work of fiction and imagine the suffering of a certain character (like the mom in Room, for example). It’s quite another to read a piece of non-fiction and have to wrestle with the ponderous truth that everything you are reading is real. It happened. 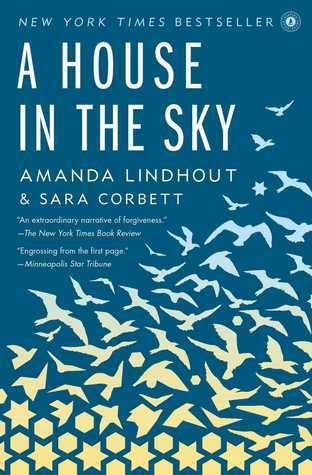 What kept me reading A House in the Sky (other than it was my book club’s pick) was knowing that Canadian journalist Amanda Lindhout survived the hell she was thrust into when she was kidnapped in Mogadishu and held for ransom for more than a year. I knew she survived because she co-wrote her story. Several times in the reading I found myself turning the book over to its backside to look at her beautiful author photo. You can’t write about an experience after the fact if you’re dead. When the telling got really hard to read, I’d remind myself, She lives, she lives, she lives. I honestly don’t think I could have coped the way she she did. When I wasn’t stunned by the cruelty of her captors, I was stunned by her ability to hang on to hope. Hope is one of those invisible weights that we can only lift if we summon enough strength to do so. The harder the situation, the heavier it is to hold. Despair is easier. Despair is heavy, too. But it just overtakes you. You don’t have to do anything but lie there and let it fall. 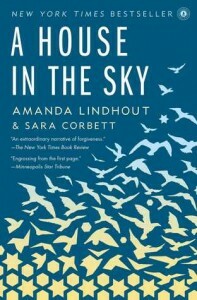 So how did Amanda Lindhout keep hold of hope when despair was just waiting to devour her? She built a place in her mind to keep it. A place her brutal captors could not see and could not enter. She built with her mind — the only thing she had left — a secret place for hope to hide. And it was this secret place that existed in her imagination that got her through the darkest days; days when I would have long given up. She built a house in the sky. This book is powerfully written and unforgettable. But it is no easy read. It is no Seabiscuit. I still haven’t read Unbroken. I love a good mystery. Mysteries and me go way back. All the way back to adolescence and Nancy Drew. I like trying to figure out whodunit before I get to the end of the book and I am always as thrilled as I am disappointed when I’ve gotten it wrong. 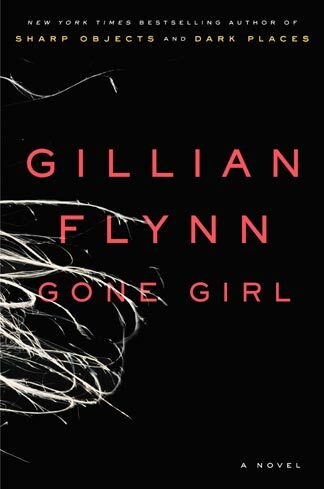 Gone Girl by Gillian Flynn is quite possibly the most cleverly constructed mystery I’ve ever read. It’s more than a mystery actually. It’s a study in human character, a look into the mind of a flawed genius. It’s hard to get wonderful and terrifying in the same sentence when you’re talking about a book. But I would concur. The writing is masterful, the plot is psychologically chilling. I, like perhaps many others, have a mental list of a few of the ways I don’t want to Go Out. I don’t want to be eaten by a shark. I don’t want to be inside a burning house. I don’t want to be buried in alive. I don’t want to drown. And I don’t want to slowly disappear courtesy of Alzheimer’s. I really am not afraid of death, it’s the dying part that scares me. And to have my mortal life taken from me as slowly as Alzheimer’s does it? That is something I hope is not in my future. 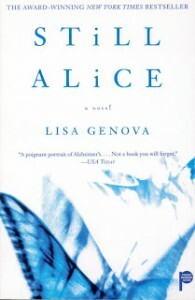 Even so, I do recommend Lisa Genova’s stunning novel, STILL ALICE, about a brilliant university professor who is diagnosed with this disease. The story reads like the woman’s memoir; as if you are right there inside a mind that is slowly erasing itself. 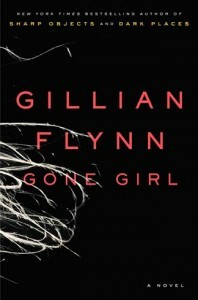 The book is also being made into a movie with Julianne Moore staring in the title role. Filming began just a few months ago so the release is a ways off yet, but I am looking forward to seeing it, even though it will surely have a Jaws-like effect on me. If you’ve seen the movie Jaws – and really, who hasn’t? – then you will know what I mean about seeing a movie and wanting that to never, ever to happen to you. Interestingly enough, Lisa is a Harvard-trained neuroscientist, not a writer. She self-pubbed STILL ALICE and sold it out of the trunk of her car for almost a year before it was bought at auction by Simon & Schuster. 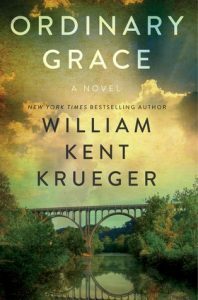 It has gone on to win the 2008 Bronte Prize, was nominated for 2010 Indies Choice Debut Book of the Year, and spent over 40 weeks on the New York Times bestseller list. It has been translated into 25 languages. That it resonates with people is an understatement. None of us wants to feel ourselves being subtracted from life bit by agonizing bit. “I have no control over which yesterdays I keep and which ones get deleted. This disease will not be bargained with. I can’t offer it the names of the US presidents in exchange for the names of my children. I can’t give it the names of state capitals and keep the memories of my husband. This book will make you fall to your knees in gratitude that you can remember the why of everything that matters to you. 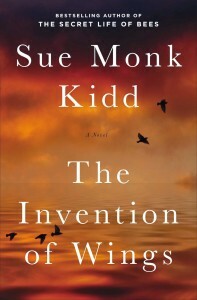 Some years back, when I first read The Secret Life Of Bees by Sue Monk Kidd, I remember thinking I wanted to be able to do with words what this author had done, and that is construct a compelling story with the perfect mix of simplicity and complexity such that people who read what I wrote would not soon forget it. It wasn’t so much the plot that wowed me as much as it was the way in which it was delivered to me. A few years after that, when The Mermaid Chair came out, also by Sue Monk Kidd, several people whose opinions matter greatly to me said it was a different kind of book, not one that they loved, and that I probably wouldn’t find the magic in it that I did with Bees. I actually chose NOT to read Mermaid for that very reason: because I didn’t want to mess with the echoes of Bees still swirling in my head. 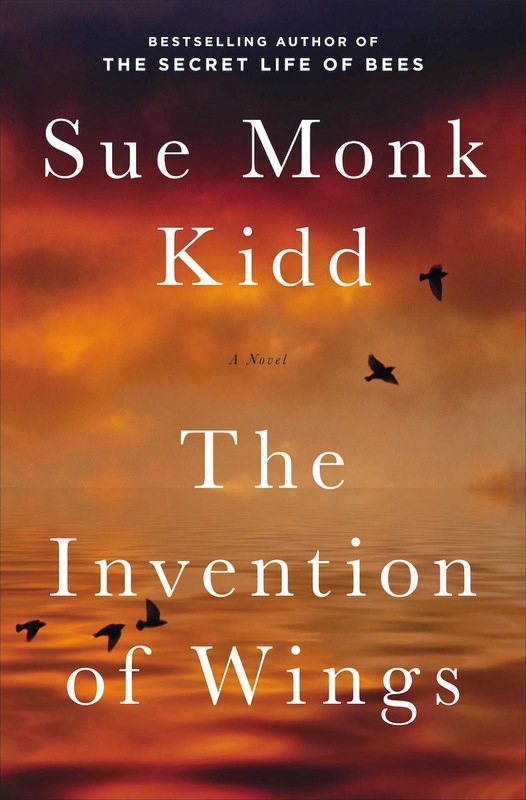 So naturally, when The Invention of Wings released, I was eager, anxious, and hopeful. Would it take me away to literary wonderland as Bees did? When a book hits my sweet spot, it’s usually hard to describe in concrete details how. That kind of book somehow beautifully assaults my senses, viciously yanks on the virtues I hold most dear – like justice and fidelity and sacrificial love – and plants me as firmly in its setting and culture as if I had time-travelled there. It haunts me when I am not reading it and woos me when I am. The characters’ voices linger in my mind and their sorrows and joys feel like my own. A book that hits my sweet spot doesn’t spoon-feed the ending; it suggests the denouement in a way that lets me feel like there are more pages in the book; I just don’t have access to them. The story is not over, and I am not expected to feel like it is. Your heart will bleed reading this book, but it will heal in a way that allows you to remember why you loved it. You’ll be reminded why slavery is one of the ugliest ideas ever, and you’ll be glad there were brave souls who stood up in protest. I remember reading once that Harper Lee didn’t write another novel after To Kill a Mockingbird because she knew readers would expect too much with a second book and that kind of pressure was wholly unattractive. Perhaps Margaret Mitchell felt the same way after Gone With the Wind. We readers can be heartless in our desire to be wooed and won at a more breath-taking level than the book before. Some years ago I read, nay, devoured Diane Setterfield’s The Thirteenth Tale. I told every one I knew who loved fiction to read it, it was such a well-written, captivating tale. I read the book a second time for book club, and then a third time to just study the craft of having a young, idealistic protagonist cross paths with a much older realist; a pairing I wanted for The Shape of Mercy which I wrote in 2007. I waited and waited for Ms. Setterfield to write a second book, and while I read many other novels in the interim, The Thirteenth Tale remained in my perennial top five. When people would ask me to recommend a book in those in-between years, I would invariably ask, “Have you read The Thirteenth Tale?” and if they hadn’t, I would tell them that was the book they needed to read next. So when I learned that, after eight years, a new Setterfield book was on the horizon, I gleefully pre-ordered it – months before it was to hit bookstore shelves- and counted the days. Bellman & Black arrived on my doorstep in all its hardback beauty two days after its release. I had to finish another book I was reading and I itched to be done so that I could crack open the Setterfieldian pages and consume them. I finished the book last night. I can only say that I wanted so very much to be transported to another place with the story, just as I had been before. My expectations were high, perhaps illogically so. Perhaps with The Thirteenth Tale it was the writer’s story, not the story’s writer that so captivated me before. Perhaps it was something unique about me that made The Thirteenth Tale resonate within me, rather than something unique about its author. 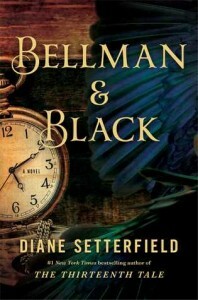 The prose in Bellman & Black was lovely, Setterfield is still a master, but I never left the room while reading her second book. And I wanted to. Too much so. I wanted to be transported. I was not. Perhaps I need to book-club this one to appreciate it properly. Sometimes it’s only after I’ve discussed a book with people that I realize what I missed. Some reader reviewers have said Bellman & Black is too dark; but so was The Thirteenth Tale, so I don’t think for me, that it was because there wasn’t enough light. As a novelist myself I know that in every great story, the main character has to be on a quest, a pursuit to have something he doesn’t have, and he has to overcome recognizable and somewhat relatable obstacles to get it. Doesn’t matter if you are reading Green Eggs and Ham or The Silence of the the Lambs. The protagonist, flawed but likeable, must want something and must overcome opposition to get it. What the character wants must be something we readers understand and WANT them to want. Their opposition must also be understood and recognizable. This is how we become emotionally invested. This is what keeps us turning pages. This is what transports us. The clash of the quest and the character and the conflict must captivate us. Otherwise you just have words on a page. They can be great words, skillfully placed. But unless they transport, they remain words. Will I read Setterfield again? Absolutely. This one just wasn’t the trip for me.